Ryan Wright M.D. 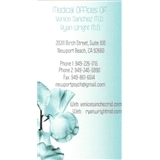 (Newport Beach) - Book Appointment Online! Dr. Wright currently practices in Newport Beach, CA and provides general psychiatric services for adult patients who are experiencing symptoms of depression, anxiety disorders, bipolar disorder, or thought disorders. For every new patient, Dr. Wright provides a comprehensive initial psychiatric assessment, and offers subsequent mental health treatment including medication management and individual psychotherapy. Dr. Wright also utilizes a treatment modality called Telehealth to conduct patient visits using telecommunication software. If you have difficulty leaving your home for a doctor's appointment, Dr. Wright can provide psychiatric care in the comfort of your own home. Patient's utilizing Telehealth must reside in California to receive treatment. Please call Dr. Wright's office for further details to see if you are eligible for Telehealth services.